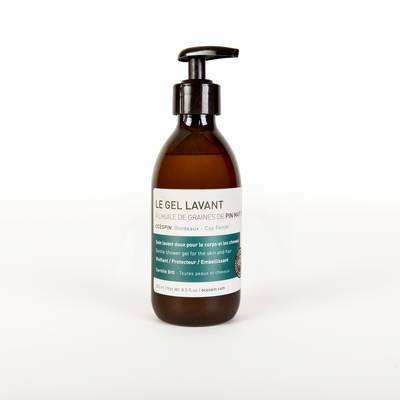 This extra soft Washing Gel cleanses, invigorates and hydrates body and hair to perfection. It contains no sulphates and therefore suits all types of delicate skin and scalp, even for children. This highly natural care product combines maritime pine with the benefits of mimosa, bitter orange flower, wheat and marine salt to soften the skin and to give hair volume and shine.